Empires are short-lived structures created and kept together by the availability of mineral resources, fossil fuels in our times. 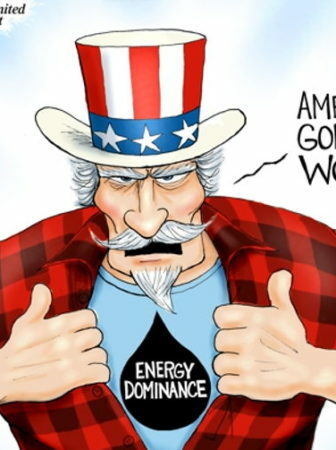 They tend to decline and fall with the decline of the resources that created them, and that’s the destiny of the current World Empire: the American one. Will new empires be possible with the gradual disappearance of the abundant mineral resources of the past? Maybe not, and Donald Trump could be the last world emperor in history. A warlord named Sargon of Akkad was perhaps the first man in history to rule a true empire, around mid 2nd millennium BC in Mesopotamia. Before him, humans had been warring against each other for millennia, but the largest social structures they had developed were no larger than city-states. Gradually, new forms of social aggregation emerged: kingdoms and empires, structures kept together by a central government that, normally, involves a larger than life male figure, emperor or king, who runs the state machine using a combination of force, prestige, and gifts. The rise and fall of empires looks like a chemical reaction, flaring and then subsidizing, as a reaction running out of reactants — then restarting when new reactants have accumulated. For empires, the reactants might have been mineral resources — it may well be that Sargon’s empire was the result of silver having become a standard medium of exchange in Mesopotamia. With silver, Sargon could pay his soldiers. With his soldiers, he could steal more silver. And, with more silver, he could pay even more soldiers — and there you go: the road for glory and murder is open. The Romans built up their stupendous empire using the gold and the silver of their mines in Spain. When the mines were exhausted, so was the Roman Empire, but it left such a deep impression that for more than a millennium people tried to rebuild it. Charlemagne built his Holy Roman Empire during the 9th century AD by means of newly discovered silver mines in Eastern Europe. Later on, during the 16th century, Charles V rekindled Charlemagne’s idea with his empire on which the sun never sets, built on the gold coming from the Americas. But these empires, too, went through a cycle of growth and decline, in parallel with that of the resources which had created them. The 20th century was the age of fossil empires. The British used coal to create the biggest and the most powerful empire ever built — it faded away with the gradual decline of its coal production. Another ancient empire, Austria-Hungary, the last remnant of the concept of a European Empire, went to pieces during WWI, the only state which didn’t survive it. 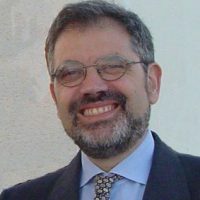 The attempt of Italy to re-create the Roman Empire in 1936 with the conquest of Ethiopia had the only effect of generating the shortest-lived empire in the history of the world, just five years but, at least, it could demonstrate that no empire can exist for long without abundant mineral resources available. With the end of WWII, only two large empires remained: the Soviet and the American one. Both were based on fossil fuels and, in particular, on the abundant crude oil they could produce. For a while, the Soviet Empire challenged the worldwide supremacy of the American Empire – but it had to give up and fold when its oil resources became too expensive to fuel its military apparatus. The whole political debate in the US reflects this situation. The Dems (or the Left) have come to embrace the Imperialist viewpoint, pursuing an aggressive foreign policy. The Reps (or the Right) are no enemies of the Empire, but many of them favor retrenching within the US national borders. There is a certain logic in these positions: the political base of the Dems is in the impoverished remnants of the middle class and, for them, the only hope of survival is the economic expansion that could come from plundering foreign countries. The Reps, instead, represent the elites and, for them, the easiest way of maintaining their dominance is to plunder the American middle class. Donald Trump represents well the view of the elites. He seems to understand (or, at least, to sense) in which direction the wind is blowing and what he is doing, apart from the exaggerated boasting, is to try to turn the parasitic imperial economy of the United States into a self-standing national economy. Not an easy task and Trump may well fail in what he is trying to do. 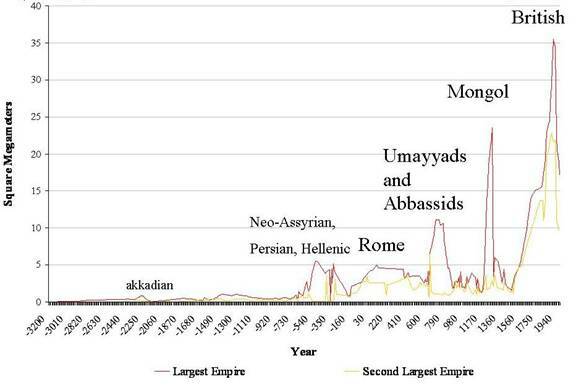 But history never fails: empires have always gone through a cycle of growth and collapse, it is just a question of time. So, the American Empire is destined to go, but what will come after the fall? Most likely, we’ll see a situation resembling that of the fall of the Roman Empire, when there were no resources to build another empire of the same size and Europe moved back into an age of independent cities and statelets. Nowadays, many people seem to think that the disappearance of fossil fuels would bring a return of the Middle Ages. It might happen: large organizations need a lot of energy to run and, in addition, our civilization will be badly hit by global warming. The result may be the fragmentation of the current political entities, returning to nation-states or even back to city-states. There will not be another World Empire and Donald Trump could be, if not the last emperor, the last who ruled an empire as large as the current American one. The return to Middle Ages could be avoided, at least in part, if humankind were to invest some of the remaining resources into building an energy infrastructure based on renewable energy, but, right now, it seems that these resources will be squandered in a new series of resource wars. And so it goes, it is the great cycle of history that moves onward. Humans struggle, fight, and quarrel, but the best efforts of mice and men come to naught when they try to keep things as they are and they have been. The only unchanging thing in history is that things always change.